Well, this one certainly can. And that’s a dangerous business. 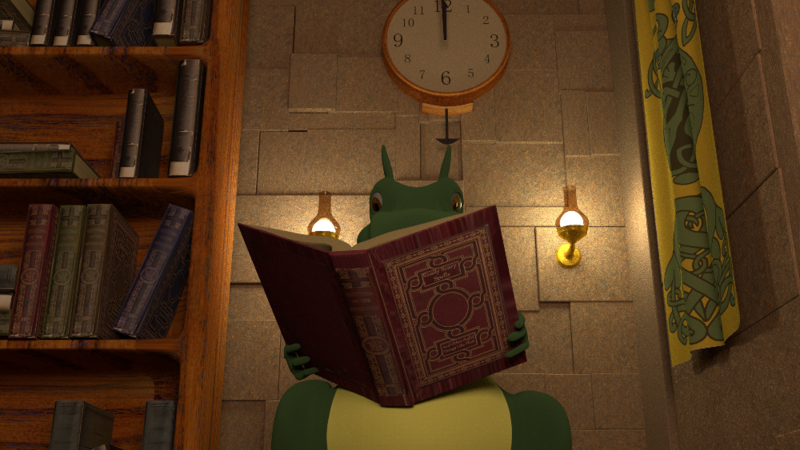 Here’s a still from a short movie that I’ll be posting here as soon as I get it finished. Made with Blender. If you’re interested in trying your hand at computer generated graphics, this is the way to go. And it’s free. Much recommended. In the meanwhile, be sure and take a look at “The Three Sisters,” fantasy short fiction up now on Metaphorosis. And don’t forget, “Job: A Fairy Tale of God, Satan, and Us” goes up on Mysterion May 28. And there’s always more disturbing fantasy for you. . . . Find The Fundamentalist and The Lesser Gods on Amazon. And don’t say you weren’t warned.